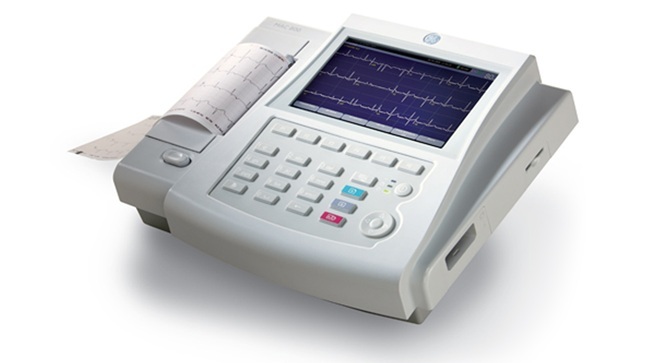 The MAC 800 helps healthcare providers to connect the hearts of patients to the minds of physicians with accurate and reliable ECG information for a fast, more confident diagnosis. The MAC 800 gives you the power of easy-to-use, advanced ECG technology, multiple ways to store and send data, and the proven GE Marquette 12SL ECG analysis program. Now you can provide expert ECG analysis to patients across the room or across the globe. Marquette 12SL empowers you with comprehensive computer-interpreted analysis of adult and pediatric populations for fast, confident ECG readings. Hookup Advisor is an exclusive GE Healthcare feature that ensures ECG signal quality by informing clinicians if there is poor waveform quality during ECG recording. Acute Cardiac Ischemia Time-Intensive Predictive Instrument (ACI-TIPI), which is included in the Marquette 12SL program, promotes diagnostic accuracy by predicting the probability of cardiac ischemia, as well as factoring in gender-specific criteria to help physicians more readily diagnose heart abnormalities in women. The MAC 800 enables healthcare providers to connect the hearts of patients to the minds of physicians with accurate and reliable ECG information for a faster, more confident diagnosis. The MAC 800 gives you the power of easy-to-use, advanced ECG technology, multiple ways to store and send data, and the proven GE Marquette 12SL ECG analysis program. Convenient pull out handle for portability, 4.5 inch strip chart paper printing. Compact and easy to carry, the MAC 800 weighs only 3kg (6.6 pounds) with the battery and is designed with an integrated carrying handle. Lithium ion battery provides you with two hours of continuous operation or 250 standard patient reports. Fast battery recharge (about four hours) minimizes system downtime. Easy-to-use keypad simplifies and speeds ECG operations with T9 SMS mobile phone keypad design and quick-access function keys. Hospital-grade keypad allows for easy cleaning. 7-inch, high-resolution (800 x 480) color TFT screen gives you a clear, easy-to-read display of all 12 ECG leads. Digital onscreen preview lets you view your ECG prior to printing, saving paper and avoiding costly repeat exams. Tested replaceable accessories keep your system running at peak performance; with multi-link lead wires, fixed lead wires, disposable electrodes and reusable electrodes. Click the button below to add the GE MAC 800 Digital Electrocardiograph to your wish list.